Throughout the country, Local Chapter members recognized that hunger in America affects 1 in 6 people who struggle to get enough to eat. 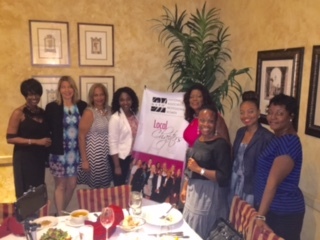 NAPW members recognized Hunger Awareness Month at networking events across the country in June. Local Chapters empowered professional women to stand up for the rights of all Americans and to do all they can to ensure that no child in this country goes to bed hungry. Inspired by passionate speakers and energized by hands-on initiatives, NAPW members stood united as they did their part to make a difference in their communities and beyond. “The professional women of NAPW joined the fight against hunger in America by holding food drives in their neighborhoods and raising awareness through educational discussions,” said NAPW President Star Jones. At Local Chapter events in NAPW’s Central Region, members helped raise awareness about the plight of the hungry in this country. Speakers shared information on these and other relevant issues at networking meetings in Indianapolis, IN; Little Rock, AK and North Houston and Plano, TX. Members in Little Rock, AK had a lively discussion about eating on a budget after a presentation, “Living Below the Line – Eating on $1.50/Day.” This included children in the process of both food budgeting and charitable outreach, as well as the importance of supporting our food banks throughout the summer. They, then, collected large grocery bags of foods for the Frisco Food Pantry to support their Summer Food Drive. “Throughout the country, Local Chapter members recognized that hunger in America affects 1 in 6 people who struggle to get enough to eat,” said Louise Newsome, NAPW National Director of Local Chapters and NYC Chapter President. 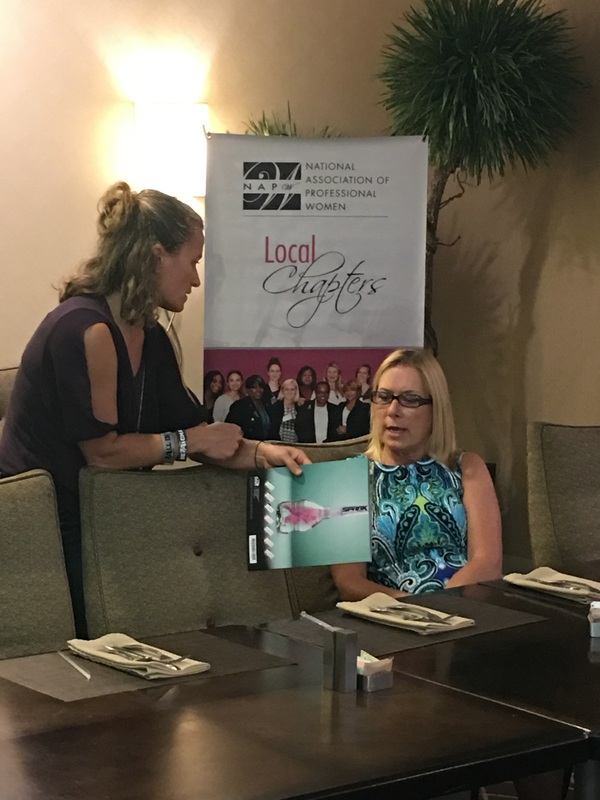 In NAPW’s Eastern Region, NAPW members gathered at Local Chapter events and discussed important issues that women are challenged with every day. Our Ocala, FL, Local Chapter members learned about transitioning into life-altering situations. NAPW is also proud to announce the relaunch of our Forest Hills Chapter in New York. They discussed topics of interests and arranged future meetings. Our Aventura, FL Local Chapter hosted a fascinating event, in which their guest speaker discussed her personal experiences as a little girl in Africa relating to hunger, poverty and human rights. She explained how she has emerged from her experiences and is now giving back to the world. The speaker made note that women are the root of the movement and change relating to hunger. Members left extremely inspired and well-informed. Professional women in NAPW’s Western Region welcomed an open-floor concept and let members create their own discussion. Phoenix, AZ’s Local Chapter discussed the process of publishing a book and the choice of self-publishing vs. associating with a publisher. They gave each other helpful hints to strengthen each other’s marketing techniques, as well. Follow NAPW’s Facebook and Twitter and NAPW Foundation’s Facebook and Twitter. NAPW defines success as “owning your own power.” As the largest, most-recognized networking organization of professional women in the country, spanning virtually every industry and profession, the National Association of Professional Women (NAPW) is a powerfully vibrant networking community with more than 850,000 members, over 200 Local Chapters and a thriving eChapter with more than 17,000 members. NAPW members have diverse backgrounds, beliefs, perspectives and lifestyles with one common bond – their ability to succeed. NAPW’s mission is to provide an exclusive, highly advanced networking forum to successful women executives, professionals and entrepreneurs where they can aspire, connect and achieve. Through innovative resources, unique tools and progressive benefits, professional women interact, exchange ideas, advance their knowledge and empower each other. 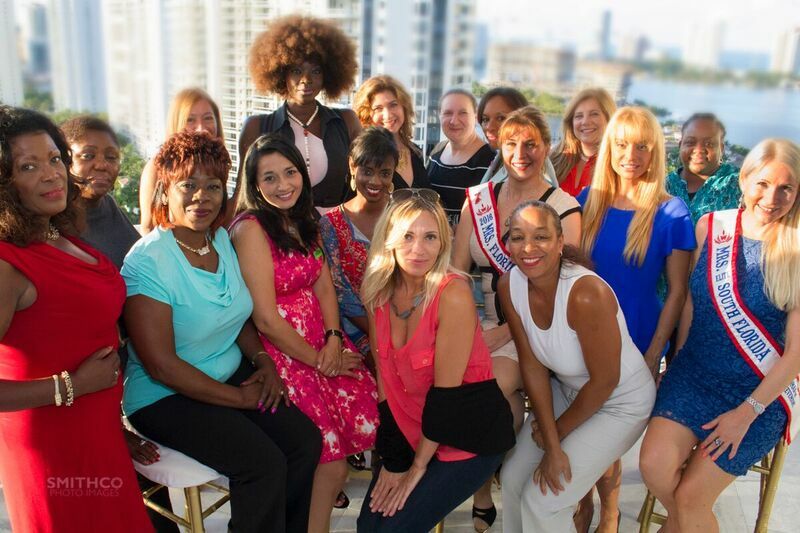 The Aventura, FL Chapter had a magnificent turnout at their June meeting focusing on Hunger Awareness. The members the North Houston, TX Chapter network before indulging in lunch at their Monthly Networking Luncheon. The Pembroke Pines, FL Local Chapter invites Educational Facilitator in Social Services and Crisis Management for their June Event on LGBT Pride and Hunger Awareness.